RAWLINS — Thirteen men in orange jumpsuits are escorted into a room. There is the song — Pomp and Circumstance, of course. There are nervous speakers selected from the graduating class, and an invited guest who gives a polished commencement address on the opportunities provided by education. 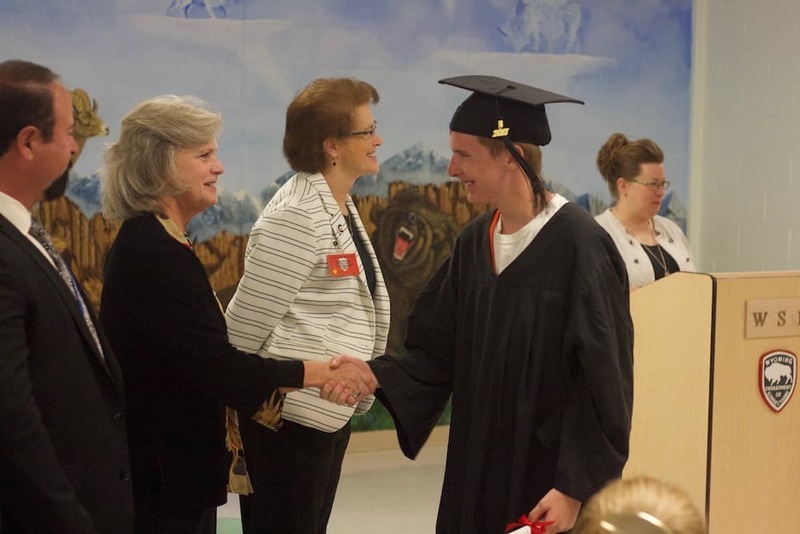 There is Brenda Mattson, the mother in the crowd who cries from the moment her son sits down until the ceremony’s conclusion, when Cole Mattson clutches a rolled-up diploma in one hand. “You get to a certain point in a person’s life … I just didn’t think I’d ever get to see this,” Brenda said afterwards, sitting with her husband, her son and her daughter-in-law, Katelyn Mattson. They made the trip down from Powell to see Cole get his High School Equivalency Certificate. Cole told WyoFile he is in prison for four to eight years on a burglary charge. He dropped out of high school in 11th grade. “I tried getting it done on the outside,” he said of the certificate. “It’s a lot easier to get it done in here, easier to focus.” Cole seemed to accept his mother’s weary assessment of his past life. “It’s the first thing I’ve accomplished,” he said. The commencement speaker was Lynn McAuliffe, Dean of Business, Technical, Health and Safety at Central Wyoming College. The community college is in charge of providing courses to the maximum-security prison in Rawlins and the Wyoming State Honor Farm in Riverton, she said. Three of the students graduating Friday did so with certificates in Computer Technology through CWC. McAuliffe told the graduates about the statistically demonstrated benefit of convicts receiving an education. 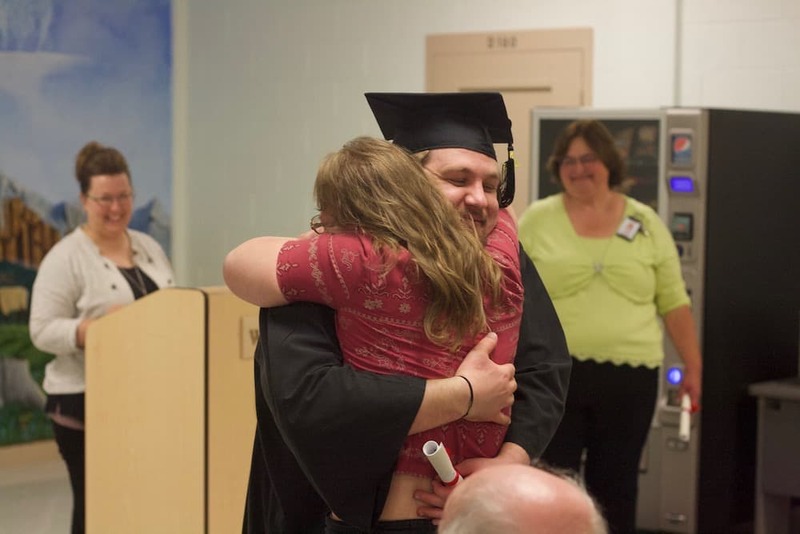 Those who obtain a high school diploma while serving their time are twice as likely to get a job upon release and 30 percent less likely to return to prison, she said. “You bought yourself some insurance,” she said. Friday was a celebratory day for the 13 men, their families, their teachers and corrections officers. 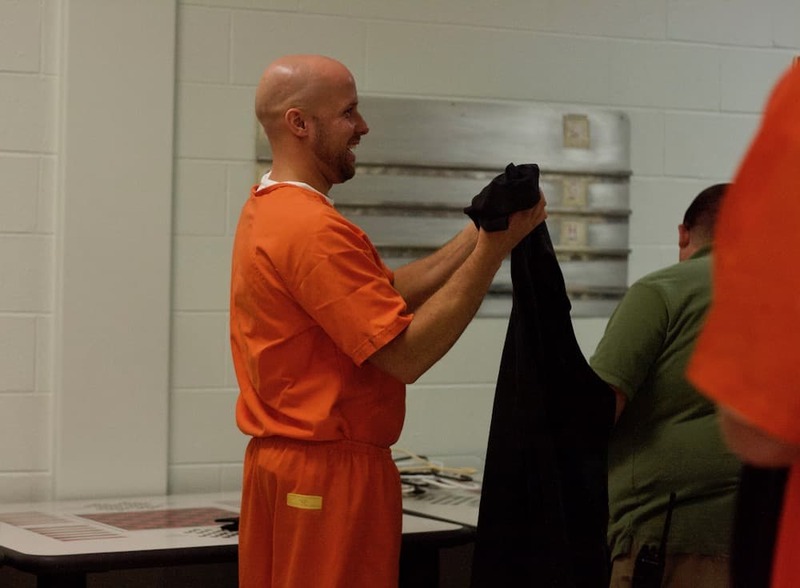 The atmosphere was warm and the banter between the prisoners and officers jovial. Friday was an example of the correctional system’s potential to be more than holding facilities for Wyoming’s law breakers. It’s the difference in thinking “prisons are purely penal institutions, versus correctional institutions,” McAuliffe said. Looming over the ceremony, however, were building pressures on Wyoming’s correctional system. Challenges that have bubbled for years are coming to the surface, threatening to reverse progress as the state goes down a path of less programming and more and more incarceration. It’s a path Bob Lampert, the WDOC’s director, says could eventually lead to higher costs for the state and worse outcomes for convicts. The WDOC has tried, over the last two decades, to invest in programming for prisoners — including education, substance abuse treatment and other forms of counseling. The goal is to have people leave the correctional system more likely to become contributing members of society, and less likely to return. Today, however, the Wyoming State Penitentiary, and the state’s correctional system as a whole, face myriad pressures. There are physical pressures, like the unstable soils that shift floors, pull apart walls and spread spiderwebs of cracks across the windows at the penitentiary. While officials hold out that the facility remains safe, penitentiary staff say they have to make repairs every day to keep it so. There’s also the pressure of a dwindling agency budget squeezed by a Legislature desperate to trim spending in the face of a stubborn revenue downturn. Those cuts have started to hurt some of the programming that can lead to more successful outcomes for those in Wyoming’s prisons. Pressing down on the physical and fiscal cracks in the correctional system is the overarching pressure of a prison population that has grown every year since 2002 and which the Department of Corrections predicts will only continue growing. In 1980 one out of every 878 Wyoming residents was incarcerated, according to a report by the nonprofit Prison Policy Initiative. In 2016, that number was up to one in 244, a 357 percent increase. During the same time period, Wyoming’s crime rate dropped by 49 percent, Lampert told lawmakers last Tuesday. He was testifying before the Joint Appropriations Committee, which met last week in Rawlins to discuss WSP’s future. The increase is beginning to strain space at Wyoming’s correctional facilities, which Lampert said last week were at 96 percent operating capacity. The State Penitentiary currently sits at 98 percent. The Joint Appropriations Committee voted to release some funding for the most pressing repairs to the penitentiary, which includes draining water and regrading slopes away from building walls to prevent further water damage. In the long run, however, lawmakers will still have to choose whether to invest in more expensive repairs or construct a new penitentiary on new ground. Complicating the decision are conflicting reports from engineers hired to study the problem, with vast differences in conclusions and price tags. Lawmakers will have to sort through all of that in coming years, perhaps sooner if the more immediate repairs fail to slow the facility’s degradation. Aware of the impending decisions, two private prison companies have begun to circle the Legislature. Companies CoreCivic and GEO have met with top lawmakers looking at the program in the last few months. Both companies were on hand last week, pitching the appropriations committee on their ability to construct a new facility and lease it back to the state, manage a facility constructed by the state or even construct and manage a new prison on their own, for a state contract. 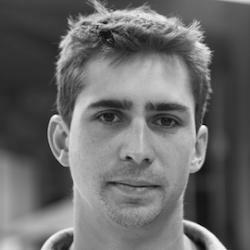 The questions on hand are larger than just facilities and repair costs. When it comes to the future of Wyoming’s criminal justice system, Lampert offered lawmakers stark choices: Add more alternatives to incarceration to state statute — like probation, parole and treatment programs — or pay the increasing costs of constructing more prison space and housing more prisoners for longer time periods. During the last legislative session, a bill that would have deferred the incarceration of some criminal offenders and routed them instead to treatment and probation programs died after passing the House. Senate President Eli Bebout (R, SD-26, Riverton) killed the bill by not introducing it to the Senate floor for debate. Supporters of the bill, which included WDOC and the Wyoming Board of Parole, said it would have saved the state money and improved outcomes for offenders. Bebout cited an initial $2 million appropriation to implement the new programs and the concerns of prosecuting attorneys and a lone member of the parole board as his reasoning for not allowing the bill a vote. “Our agency needs your guidance in planning for the future,” Lampert told lawmakers last week. 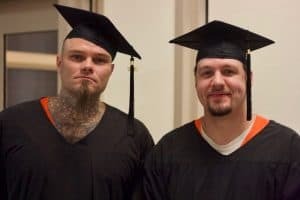 Everette Wilson waited next to Mattson before Friday’s ceremony began, his graduation cap perched on a face and neck covered in tattoos. Something of a class clown, Wilson smiled and joked continuously with corrections officers, teachers and classmates. Evidence, like the statistics McAuliffe cited about education lowering recidivism rates, shows that picking oneself up is far easier with some help. And education is just one of the programs WDOC has offered in the past to improve outcomes for prisoners, who one former corrections officer told WyoFile the agency’s administration often refers to as “clients,” not criminals. Wyoming’s state’s recidivism rate was the second lowest in the nation as recently as 2011, according to research from the Pew Charitable Trusts. The rate remains one of the lowest, but has begun to rise as funding for in-prison programs is cut. Among the most notable was the loss of $4.5 million for substance abuse treatment, stripped from the agency last year as a special fund that paid for it dwindled. Since then, the recidivism rate has increased by 4 percent, according to WDOC director Bob Lampert. Each percentage point increase in the recidivism rate costs taxpayers $475,000, Lampert told lawmakers gathered for a Joint Appropriations Committee Meeting in Rawlins last week. 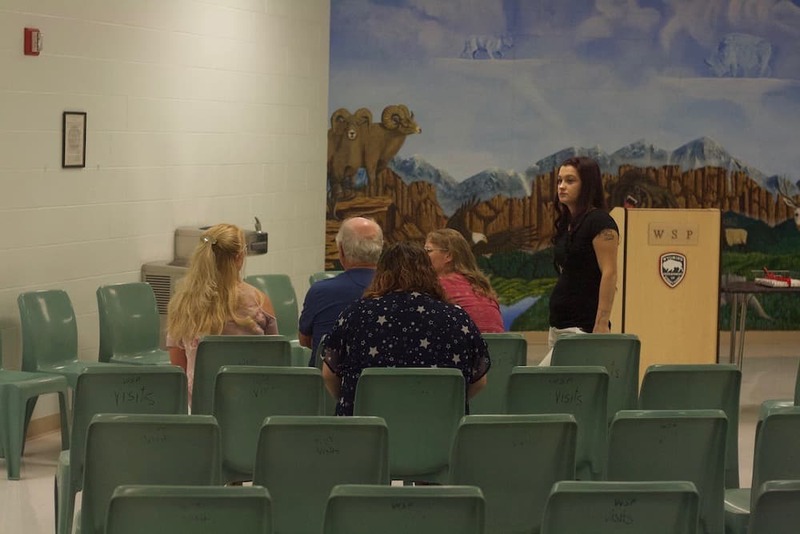 In an April WyoFile article, Lampert estimated the loss of substance abuse treatment could increase recidivism by up to 15 percent. By Lampert’s calculation then, cutting $4.5 million could end up costing the state at least $7.1 million. Unlike substance abuse treatment, thus far the budget for in-prison education has not seen any cuts, WDOC Deputy Director Steve Lindly said Friday. He is not aware of any pending reductions either, though he said any substantial new cuts to his agency’s budget could mean a reduction in programming. It’s an idea that worries McAuliffe, given other funding challenges the state faces. “Who wants to step forward and say let’s give a college education to prisoners, when they’re trying to fund their own children’s education?” McAuliffe said. On a wall in the prison gym, currently closed for repairs, is a mural painted by one or more prisoners. The mural shows two basketball players. One, in white, is knocking down his opponent in green as he drives towards the hoop, a flaming basketball palmed in one hand. Above them is a scoreboard. Instead of home versus away, the two teams are “future” and “past.” The score is tied at 99. There’s one second left on the clock. It is easy to imagine the resonance of the tied scoreboard for the athletes whose mistakes may have landed them here and whose future remains in question. Given the weight of the stressors revealed in Lampert’s grim presentation to lawmakers, the critical moment captured in the mural could also apply to Wyoming’s correctional system at large — not just those who inhabit it. Lawmakers can vote to sink more money into the current penitentiary in hopes the next fix will work where other attempts have failed. They could also choose to construct a new building entirely, with a more modern design and on stabler soils, but with a high price tag for a cash-strapped state. The state can continue to pay for incarcerating more people for longer, or seek to lower costs on the front end by developing alternatives to incarceration. Or lawmakers can outsource the problem, entirely or in part, to the private for-profit prison industry. But none of those questions were in evidence during Friday’s celebration. Indeed, WSP Warden Michael Pacheco told reporters last week that as far as possible, inmates were being kept in the dark about the prison’s physical troubles, out of security concerns. As lawmakers continue to ponder more permanent solutions for the Department of Corrections, the prison staff continues to make daily repairs to try and keep the facility running safely. Lampert and other advocates for reform continue to press for alternatives to incarceration, working during the interim to address some of the objections that killed last session’s criminal justice reform legislation. And teachers continue to educate those who choose to spend their time in prison educating themselves. The graduates walked one by one to the podium to get their diplomas and shake hands with educators and prison officials, including the warden. “Now do we get to throw the hats?” Wilson asked as the ceremony concluded. And then they did. Read this previous WyoFile story on the potential for cuts to substance abuse funding to drive more people back to Wyoming’s prisons. Also, stay tuned for forthcoming reporting on some of the criminal justice issues touched upon in this story. -Ed. A good explanation of Wyoming’s prison problems. But I wanted to know at the outset, 13 graduates out of how many inmates? more in the long run while rehabilating people less. And private prisons, which have an incentive and have been shown to keep prisoners longer without lowering recidivism, would be an even worse out. This individual is being lauded for openly abusing this program in three separate states. Nice bit of program oversight, Central Wyoming College. At least we know where the funding’s going.